At ChoiceQuote our brokers have access to the leading insurers and special deals on business liability insurance. Whether your business is small or large, we can help you to find the ideal cover for the risks you face without paying a penny more than you need to. Public liability insurance is necessary for when you come into contact with members of the public as part of your business. It’s available for all types of business, from retail to events management and freelance hairdressers. This insurance helps to cover you if a member of the public suffers an injury, or suffers damage or loss to their property and your business is held legally responsible for this. It protects you against the costs of the compensation and/or any legal costs you are obliged to pay. In the case of injury, it could cover you against the need to pay compensation for the individual’s loss of earnings – now and into the future. In this event, the financial strain to your business if you don’t have insurance would be extremely high. So potential cover could range from £1 million to £10 million and the amount will depend on the types of risk facing your business and the level required by your clients. Where does public liability insurance apply to me? The costs of public liability insurance depend on factors including the size and type of business you run, the number of employees you have, your turnover, and whether you have any previous claims. You should be able to reduce your costs if you have had previous cover with no claims. While this insurance is not legally required, certain types of clients, such as local authorities, will need you to be able to show you have public liability insurance in order to be able to carry out work for them. If you are a freelancer offering professional advice, then you may consider taking out professional indemnity insurance to cover the risks you face. Public liability insurance does not cover injuries to yourself or to your employees. In order to protect your employees, you’ll need employers’ liability insurance. Employers’ liability insurance is designed to cover the legal costs and damages if employees are made ill or injured and it is deemed to be the fault of the employer. In the event of an incident, you may also be required to pay medical costs. 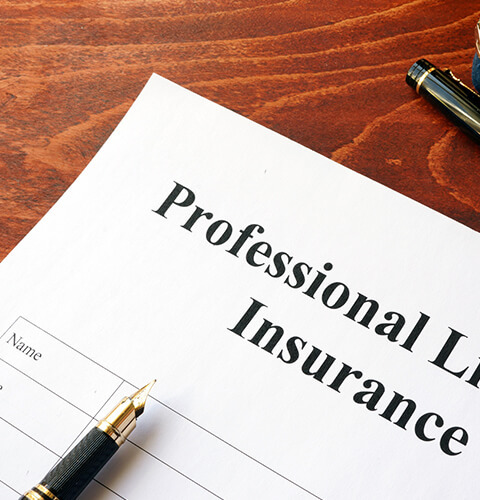 This type of insurance is legally required and you can be fined by the Health and Safety Executive if you do not have valid employers’ liability insurance. The cover that you need will be determined by the sorts of risks and liabilities that your business faces. You must be insured for at least £5 million, but most insurers offer cover of at least £10 million. Compensation can be required even if your business is no longer trading or the individual no longer works for you. When you are looking for employers’ liability insurance you should look for an insurer that is able to offer you cover that complies with the law. You will need to ensure that your cover will protect you in relation to the particular activities in which your business engages and for the people you work with. Claims for damages can be very costly, and the legal costs will also be high in this sort of case. There are exemptions to those who are required to have employers’ liability insurance. These include businesses where all employees are close family members and local authorities. At ChoiceQuote we will make sure we have the facts to give you the right levels of liability insurance for your business. Since 1995, we have been working on your behalf to negotiate the best possible deals from the leading insurance companies. Our brokers have experience of negotiating employers’ liability and public liability insurance for all types of business. Speak to the experts in liability insurance at ChoiceQuote today!